"By supporting NESF, we are able to directly fund teaching resources that enhance the standard curriculum and introduce new technology to our students." "NESF funds teachers for some of our specials classes and it provides needed technology that we would otherwise be without." 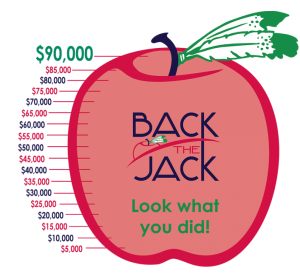 "We have donated to Back the Jack since 2010, including ensuring that our employer match goest ot NESF. We have seen the great programs funded by NESF. With three young children, we look forward to seeing additional enhancements brought to our school by NESF." "I support NESF so that my son can yet again come home and say, 'Mommy, we learned ______ in computer lab!'"